Why is Western Red Cedar Cladding increasing in price? It could be partly down to Brexit, writes Robert Bennett, Director of Bennetts Timber. “Western Red Cedar prices have increased sharply over the last year. A number of factors have meant that prices have risen, such as currency values as a result of the Brexit vote, and a reduced supply due to extreme weather, which have a knock-on effect from the supplier to customers. Western Red Cedar is a durable, slow grown softwood that’s ideal as exterior cladding for buildings. 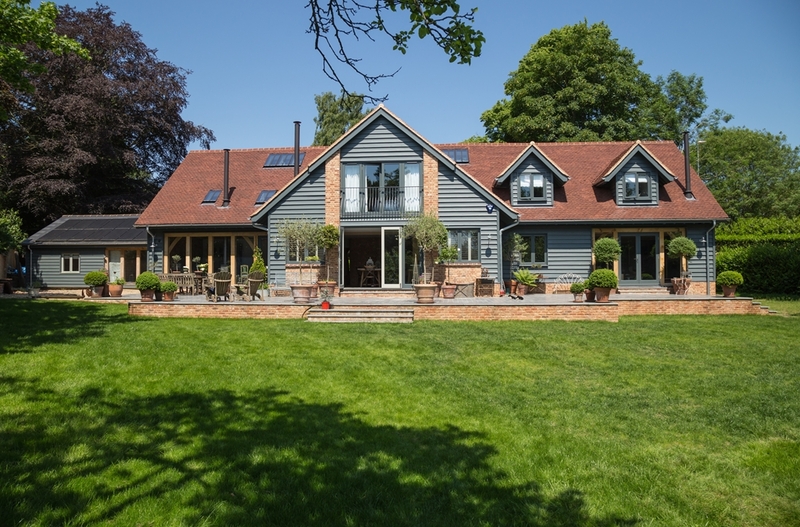 Although Western Red Cedar can be grown in Britain, the quality and grade is not high enough for external timber cladding, so the majority is imported. Western Red Cedar grows in vast sustainable forests on the north west coast of America. Although some is imported from the USA, all cedar we use at Bennetts Timber comes from the west coast of Canada. As an imported commodity, the price of cedar is influenced by a range of external conditions, including currency fluctuations. Over the past 12 months Pound Stirling has weakened against the Canadian Dollar by about 25%, from $2.09 to the present $1.67 to the pound. Although the pound was losing value against the Canadian Dollar throughout the year, it plummeted immediately after the Brexit vote and has continued to drop. This has led to an increase in prices for cedar in the UK. Effectively £1 will now buy 75% of what it did last year, so prices have risen by 25%. Prices are also affected by supply and demand. Supply is tight as Canadian timber suppliers are encountering difficulty accessing forests during severe winter weather. Demand for cedar remains strong and this can lead to price rises. There is no doubt that Cedar is the premium product when it comes to cladding – it’s durable, attractive, light, easy to work with and sustainable. As an alternative why not consider Siberian Larch? This timber is also imported, in this case from Russia, but prices have not been affected in the same way. For more information on cedar or larch cladding, call our experts at Bennetts Timber on 01472 350 151 or email our sales team on sales@bennettstimber.co.uk. You can also view our range online.